I am a wannabe long-distance runner. I like running because of all the usual reasons: it’s good exercise; it gives you an endorphin boost; you can do it anytime you want; it’s free; you can go alone and reflect or go with a friend and make it social…. The list goes on. But honestly? I also really like it because it doesn’t involve catching, throwing, volleying, kicking, dribbling or any of the other hand–eye coordination–related factors surrounding athletic activity that plagued me in gym class. With running, it’s okay if you lack coordination because as long as you get out there and put one foot in front of the other, you can still be considered athletic. You just might have more mud on your calves than others from kicking yourself. The problem I have with running is finding motivation to actually go and do it. However, last summer I discovered that if I registered for a running event in advance and set a goal, that was motivation enough to keep me running regularly as the date approached. A friend and I signed up for a 5K race in May, and another one in October, with the idea that the May race would keep us motivated throughout the end of winter and into spring, and the October one would allow us to improve on the May results. It worked! I ran regularly from February until October, which I never would have done without knowing that race day was looming. Now that spring is here again (apparently), I’m ready to sign up for more, and one race I am really excited about is the Furry Friends 5K on June 2 in Whitby. Not only is it in the Durham Region, which is great (I went to Toronto for both races last year, which meant more travel time and larger crowds), but dogs are invited too! Yes, dogs! The Furry Friends 5K is a unique charity race for people and their furry friends. It’s also quite flexible: participants can run or walk, with or without a dog. Collecting pledges (online or in-person) from friends and family is encouraged, but it is not a requirement. The event is also stroller-friendly so non-furry babies can come, too! 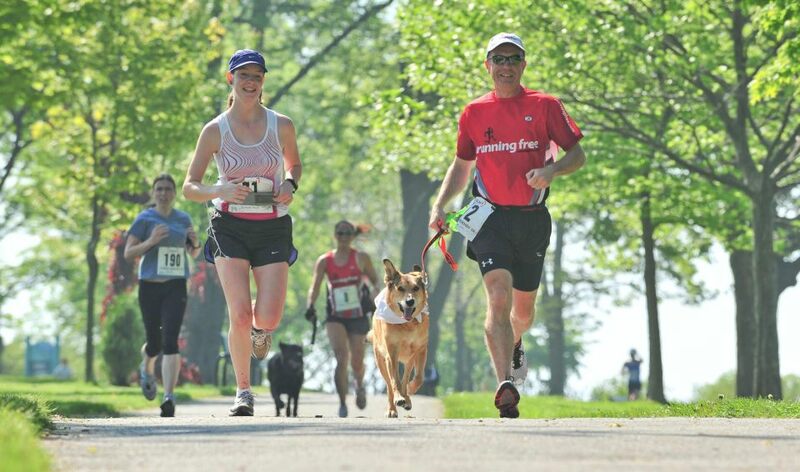 The Furry Friends 5K, now in its third year, is organized by a group of animal lovers who find generous corporate and individual sponsors to cover as many expenses as possible so that any extra monies from registration fees can go directly to local animal shelters of their choosing. Additional fundraising efforts the day of and donations have also made this event a great success in the past. This year, The Animal Guardian Society has been chosen as one of the animal rescues that will be receiving proceeds from the Furry Friends 5K, and our volunteer team could not be more excited to be a part of this event. Many of our adoptable TAGS dogs will also be there to enjoy a morning of exercise and fun. Come run with us! Visit the Furry Friends 5K website to register, donate, volunteer or become an official sponsor of the event. Curious about what a race with dogs looks like? 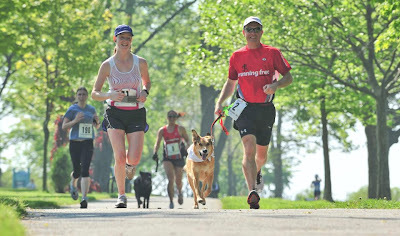 Check out The Furry Friends 5K Facebook page and view pictures from last year’s event!